After a long day of work, one of the things we love is to read a book with our son, sometimes night time is about 3-5 books hehe, this is our special moment ♥, a moment to dream, to be pirates, to climb the highest mountains, to be whatever we what to be without limits. Since he was less than one year old, we made the commitment to create him the habit of reading, books are so powerful!…A couple of years ago we figured out that books can also give him tools, important tools to succeed in life. We put the focus on each book that he read, teaches him something that improves his soft skills and abilities, like creativity, leadership, resilience, consistency, etc…things that we know will help him to have some fair advantage in life. We, as parents, have the most important mission a person could have: raise the human beings who will run the world in the future, so…Do we want them to be well prepared?. They should be strong based on love, respect, kindness, happiness, empathy and of course, know how to ignore the naysayers, don’t give up, to get out of their comfort zone, problems are opportunities, creative thinking,….We want to work in a better future, for them and for everyone. This is a very personal list 🙂I truly believe that you both will love them ♥ and what is more important, you will have a great time together. As it’s usually said: enjoy every little moment, they are a blessing. What’s the story and what’s special about this book? The adventure of a mouse walking through a dark forest. All the animals want to eat him, but he is smart enough to know this and change things. The way the mouse stays calm and solve all the dangerous situations he faces during his walk through the forest, the creativity to solve those problems and the funny situations across the book is amazing. An entertaining and lovely story that your kids will ask you to read over and over again! The story is about a girl and her very best friend, who happens to be a dog. She wants to make the most magnificent thing! She has every detail in her mind and all she has to do is make it, and she is a real expert making things. But things are not as easy as she thinks, and she tries and fails over and over again. She gets mad and quit, but her dog convinces her to take a walk. So she gives it another try, and finally, she reaches her goal and manages to get it right. 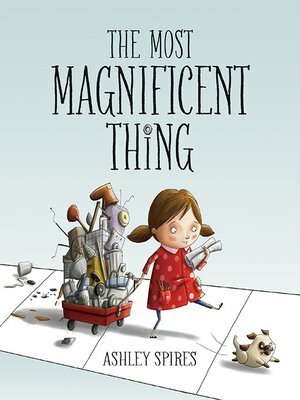 A story about perseverance and friendship that will teach your children how important is to not give up and to cultivate true friendship. Gerald the giraffe would love to join in with the other animals at the Jungle Dance, but everyone knows that giraffes can’t dance, or can they? This beautiful story will teach your children that is not always about being accepted by society, it’s about accepted yourself as you are, and find your own path. It’s ok to be different, ignore the negativity around you and go for it! 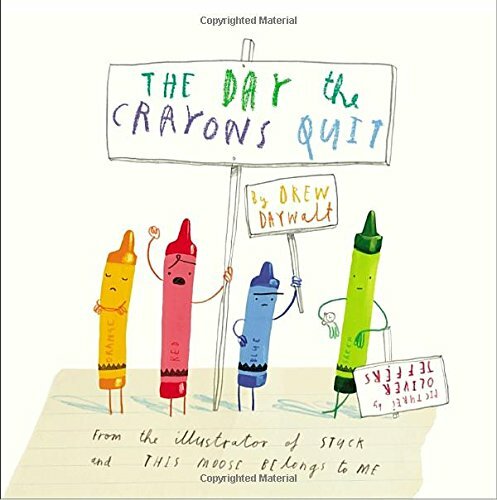 When Duncan opens his box of crayons, he finds only letters, all saying the same thing: His crayons have had enough! They quit! Beige Crayon is tired of playing second fiddle to Brown Crayon. Black wants to be used for more than just outlining. Blue needs a break from coloring all those bodies of water. And Orange and Yellow are no longer speaking—each believes he is the true color of the sun. From the point of view of colors, this book will teach your kids to speak up when they feel mistreated or unhappy. Speak up and try to change the situation. From Duncan’s perspective he takes the colors needs into consideration and changes his habits, the experience was rewarding for all. This is the story of one brilliant idea and the child who helps to bring it into the world. As the child’s confidence grows, so does the idea itself. And then, one day, something amazing happens. This is a story for anyone, at any age, who’s ever had an idea that seemed a little too big, too odd, too difficult. It’s a story to inspire you to welcome that idea, to give it some space to grow and to see what happens next. Because your idea isn’t going anywhere. In fact, it’s just getting started. 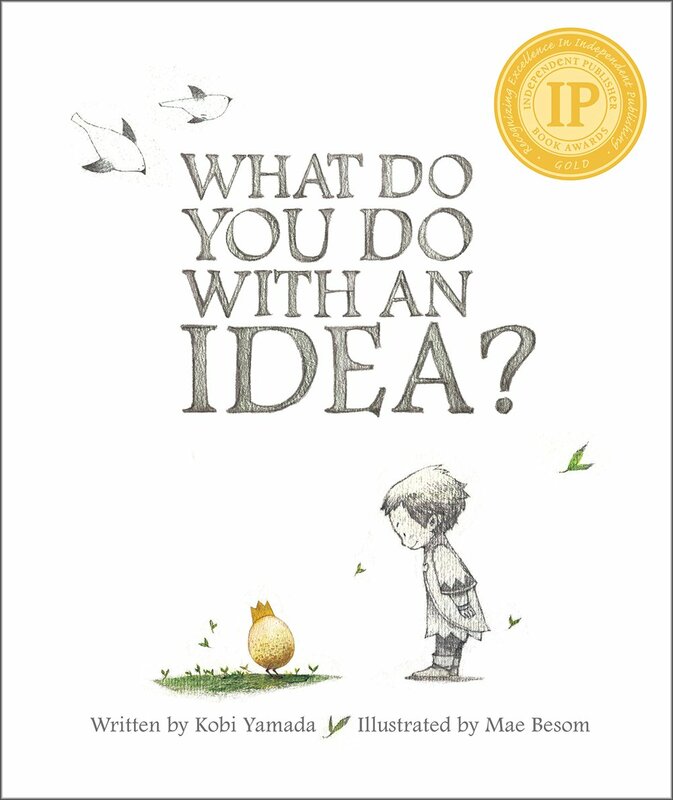 This book motivates your children to believe in their ideas, and protect them. It’s a reminder of the importance of ideas and why we should strive to keep them going. It provides an inspiring message to dream big and let the heart be the guide. Amelia the Flying Cat is a children’s picture book about a cat adopted by birds who want to fly. However, after falling again, again, and again… will Amelia ever fly? We’ve all failed at something before, and failure hurts even more when everyone else around you seem to be able to do everything just fine. Your kids will understand how important is to get back up when they fall, focus on who you are and be persistent. Because Amelia is a cat adopted by birds this book is very good for families who’ve just adopted. The strong bond between Amelia and its parents is a beautiful example that you as a family can create such a strong bond too. This book has reminded kids to embrace differences, to be thankful, to love one another, and to be themselves. 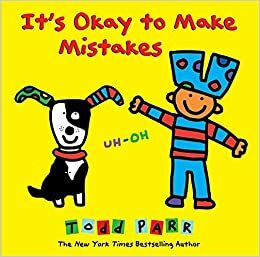 It’s Okay to Make Mistakes embraces life’s happy accidents, the mistakes, and mess-ups that can lead to self-discovery. This book will help your kids to feel good about themselves, encourage them to try new things, experiment and explore new paths. This book expresses all the loving things that parents think of when they look at their children. It’s a parent’s verse to a child. 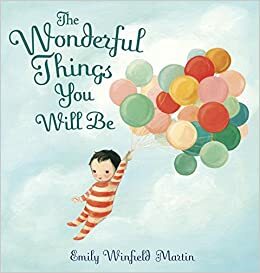 An enormous message of hope and inspiration, through the pages, the author illustrates that children can grow up to be whoever and whatever they want. Help them feel confident and strong about the life they have ahead. You will love to read this book to your kids over and over again. 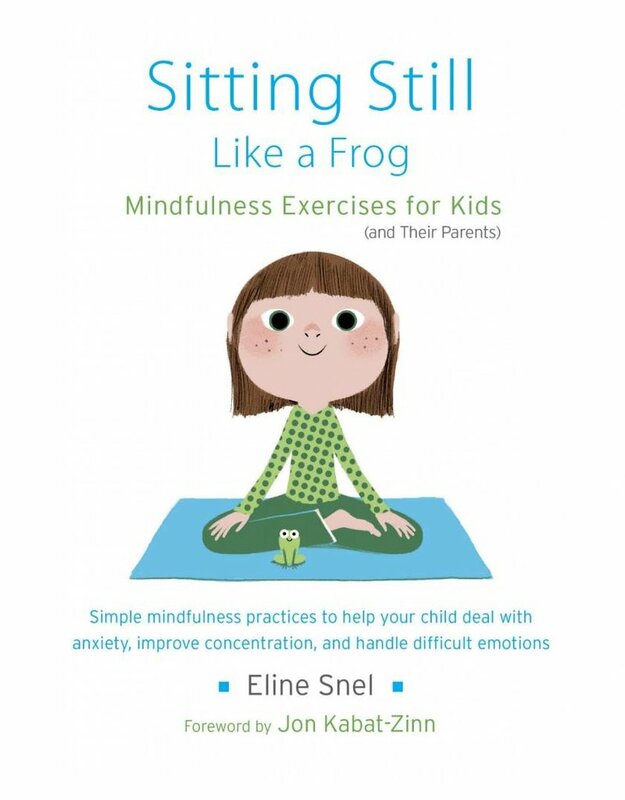 Each chapter contains a how-to for exercises and real-life examples of reactions from kids Snel has worked with in her workshops. What’s your favorite book to read with your kids? Leave a comment and let me know! My Alex love all of them! The Day the Crayons Quit is awesome. Samantha, thank you for taking the time to comment. aww you listed some of my favorites to read with my kids! You should look at “If Waffles were like boys” and “halfway Herbert” two of my favorites! We have to buy them again for our new baby because they are in shreds from reading them so often for 5 years! Thank you very much Arin! There are so many good titles on this list. I love how you lay them out and give so many details. You have talked me into getting a few of these the next time we go to the library. We also really love books in our house and I hope to keep the kids loving stories for a long time to come. I love to hear that Karla! Your kids gonna love it. I love that you included Einstein’s quote because it is so true! reading anything, but especially fiction, promotes intelligence and creativity! My kids would absolutely love all of these! The crayon one looks extra fun and imaginative! I’m sure they will love each one. Thank you for taking the time to read Ashley! Thank you for this list. My 1.5 year old loves to read. She actually brought me a book as I was reading your post. I’m really happy to hear that. It’s critical to teach our kids about how important and wonderful books are. Absolutely Amazing list ! I love this quote ,”If you want your children to be intelligent, read them fairy tales. If you want them to be more intelligent, read them more fairy tales ─Albert Einstein” Thank you for sharing such informative post . Our kids are the most important and we have such a big responsibility if we want to change the world. These are some fabulous book recommendations, thank you so much! Thank you for all of these suggestions. Am going to look into these for my children, we already have three of these titles. Thank you Jenni ♥ I’m sure you will love all of them! This is an incredibly informative post! We try to read as much as we can to our little one, and you have us some great ideas. Also we LOVE Giraffes Can’t Dance! Such a good one. Yes, the Giraffes Can’t Dance is awesome. Your kid will love all these books, I’m sure! I’ve never heard of these books before! I’m always looking for fun new books for my little one! I will definitely be checking these out! Thanks for the insight! I’m glad you like them Brittney! Some of them are authentic jewels! Like for example Amelia (the flying cat)…speechless! 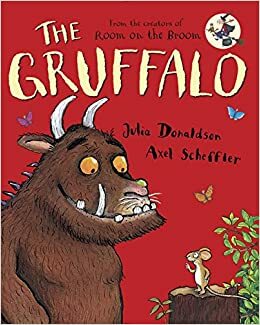 My son loves to read and we have read almost all those books and the Gruffalo is his favorite still. My daughter has always responded more to music, and I feel she can learn a lot from songs as well… Well the ones with substance, I mean. Thanks for this post. I will share it with a few friends. i lOVE this post! my daughter loves story time so any time another mama recommends a book, i’m all over it! thanks for sharing! My pleasure ♥ It’s great that your daughter loves story time! I love the Gruffalo! And the Gruffalo’s Child. The others, I need to check out. Nice! Yes, My son loves the Gruffalo’s Child. 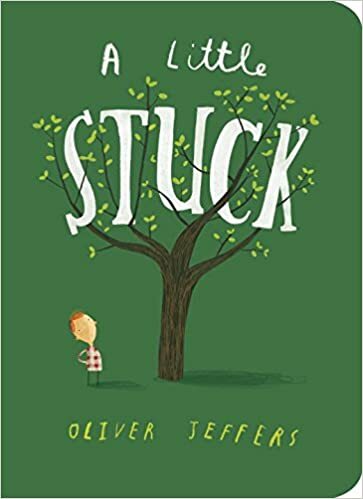 Check A little stuck, your kids will love it. Great post! Lots of good recommendations. Thanks for sharing! Thanks Nicole, enjoy the collection! This is an awesome list of books!! Totally saving this for our boys!